The Tenor bell of St Stephen's rang out at midnight on December 31st 1999, and signaled the end of the twentieth century, the beginning of the year 2000, and the New Millennium. The bell was cast in 1583, in the reign of Elizabeth 1st, and this could have been the fifth time that it had rung in a new century. The New Year's Eve celebrations had started with the lighting of the beacon on the Big Recreational Ground at 11pm. People of all ages - babies in push chairs and several eighty-year olds left their own parties and gathered to form a torchlight procession. Most had a light of some kind. There were oil lamps, night lights in jam jars and even a candelabra. Several people brought musical instruments. Horns, whistles and rattles and a very large drum, lent by the Winsham Coronation Band, led the whole procession. This drum was much too heavy to be carried so it was pushed on a trolley by Stella Abbey, banged by Trish Baxter and followed by a crowd of fifty or so. The route led through the Davies Close sheltered homes, where a party was in full swing in the Community Room. They pulled back the curtains and joined in by waving and cheering. Soon the walkers were in voice and heading towards the village. Then, unexpectedly, everything came to a halt when a wheel fell off the trolley carrying the drum. A bit of attention from Roger Beer, the village mechanic, soon had the procession underway again. A voice called "Oggy-Oggy-Oggy" and chorus replied, " Oi-Oi-Oi". This was repeated again and again with a background of rattles and horns. Up Back Street and down Fore Street the procession went with people joining in on the way. When they reached the Church it was not quite midnight so off they went again. T his time to Court Street and back again. By this time the revelers from the Jubilee Hall and The Bell had come out into the street, many of them in fancy dress. About two hundred people waited, noisily, to hear the first chime rung by Keith Fowler, Captain of the Tower. No one heard the rest as the whole street erupted into cheers and impromptu singing of Auld Lang Syne. 'Happy New Year' and 'Happy Millennium' was on everybody's lips. There was much laughing and kissing - a wonderful scene, soon to be lit by fireworks from many directions. Gradually people returned to their own parties - to their own houses, the Jubilee Hall, the Sports and Social Club or The Bell Inn.By the time most people were up and about on New Year's Day, all signs of the celebrations had gone from Church Street. Roy Smart, Richard Rose, Julian Dorse and his son Adam, had swept away the party popper streamers and other debris. Winsham was ready for the National Millennium Event. At 11.45am on New Years Day 2000, 56 people gathered in St Stephen's Church for the Millennium Service led by one of our churchwardens, Pam Barratt. This service was being repeated all over the country. At Noon, the bells were rung in the church as part of a national bell-ringing peal to welcome the new Millennium. The ringers, led by Tower Captain Keith Fowler were Alan Spurdle, John Loaring, Jill Stone, George Evans, Jethro Evans, Shane Sweetland and Sandie Wells, the last four of whom had taken up bell ringing especially for the occasion. Unfortunately Rob Symonds and Steve Rowsell were unable ring due to the 'flu epidemic. Whilst the bells were ringing the congregation were offered a glass of wine to celebrate the New Year by members of the Millennium Committee. The New Year Walk was the first of four walks organised by the Winsham 2000 Committee to take place. Some twenty plus walkers participated, leaving the Jubilee Hall at 11.15 am. The route was by way of Colham Lane, across fields to Bridge and Ammerham returning along the footpath past the cemetery and church. The weather was dull with drizzle, so the hot drinks served at the Jubilee Hall, to accompany the walker's packed lunches, were very appreciated. Trade at the Play Gro up Jumble Sale was very brisk. £118 was raised in just over an hour. Any suitable leftover clothing was handed to Gilly Hobbs, to be sent to the people of St. Helena on the next available cargo ship. On Tuesday evening, the Art Club was treated to a talk by the outstanding local artist Ted Hersy. Some thirty members gathered in the Jubilee Hall to listen to Ted who is a a master of technique when it comes to painting in Acrylic. The Skittles Fund Raising Competition held at the Bell Inn was a great success and raised £104.50p. The winners were Giles Morris, who won the first prize of £30, Paul Nicholls, who won the second prize of £15, and a special Prize of £5 was given to Joe Langridge aged 11, who gave the adults a run for their money. Many thanks to those who took part and everyone who helped. Also many thanks for the raffle prizes that were donated. A good crowd of Youth Club members enjoyed themselves at the Youth Club Disco held in the Skittle Alley of the Bell Inn. A lot of energy was put into dancing to the very noisy disco music. A raffle was held and the Club finances benefited by £86. A Quiz was held in aid of Davies Close residents. Mr Brian Bishop had devised a number of statements each with some of the words represented by their initial letter, e.g. seven s on a F.P.P.- Seven sides on a Fifty Pence Piece. The purchase of the quizzes at 50p a time raised £41 after prizes were paid for. Every first Friday in March, throughout the world, is marked by a non-denominational service celebrating the Women's World Day of Prayer. The women of each country devise the service and take into consideration the concerns and needs of the people of their country. As the years go by we get a better understanding of the lives led by women world-wide. Women from Winsham, both from the United Reformed Church and St. Stephen's, traveled to Thorncombe to join in the service at St Mary's. Also, there were members of Thorncombe Chapel. The address was given by Mrs Elizabeth Rutter who told us of her journeys in India, where she met, and was blessed by Mother Teresa of Calcutta. Next year the service will be in Winsham at either the United Reform Church or St Stephen's. A Family Quiz Night was held at the Bell Inn in aid of the School Parent/Teacher Association. This was a non fund raising event, just an evening to get together and have a bit of fun. Disastrous floods have devastated areas of Mozambique. In response to a National Appeal for aid, the Mothers Union organised a Coffee Morning in the Jubilee Hall. In a few days posters were put up and arrangements made. So many people wanted to help and were very generous with donations of goods to sell and willingness to buy, that £260 was raised in a very short time. Posters advertising "Pig Racing Night in The Bell", roused a lot of curiosity in the village. The Street Fair Committee was bringing something new to Winsham. Animal Rights people had nothing to fear. The pigs were propelled by batteries and until the race had finished no one knew which pig had the strongest battery inside. £176 was raised to go towards financing this year's Street Fair. Winsham Royal British Legion Women's Section Coffee Morning was held in the Jubilee Hall at 10.30 a.m. All the usual stalls, cakes, bric-a-brac, plants etc… These stalls plus a raffle raised £130. The general meeting of the Winsham Neighbourhood Watch Scheme attracted 21 people. P.C. Alan Chinn, Crime Reduction Officer, from Crewkerne, provided a one hour "Non-stop Review" covering Home Security, Shed Security, Holiday Reminders, The 'Door-Step Code' and also Vehicle related crime. A larger attendance was anticipated, but the school Parents and Teachers Association Meeting had "greater pull"! After two days of bitter weather with snow falling over most of the West Country, it actually dawned fair for the Coffee Morning at the Jubilee Hall, which was held to raise money to buy flowers for 'St Stephen's Church Flower Festival', to take place on July 1st & 2nd. Early morning saw people staggering up Church Street laden with things for the various stalls - which included a Bric-a- Brac, Plant, Cake, 'Nearly New' clothes and of course, a Raffle! Coffee was also provided and there was tremendous support from the people of Winsham.With everyone's help we raised the amazing sum of £222.31p, which will be divided equally between all the organisations that are taking part in July. Our thanks go out to the people of Winsham and to all the helpers who made it such a successful morning. Every year during Lent, a lunch is organised in aid of a good cause. This year the venue was Glebe Cottage and the choice of the fund to benefit was made by the hostess. This year the victims of the flooding in Mozambique were helped by the £86 raised by the twenty-eight adults and two children who enjoyed the home-made soup, bread, cheese and apples. The Winsham W.I. had organised a 'Have-a-go-day' in the Jubilee Hall. This was an opportunity for anyone to try any of the crafts being demonstrated. The members from W.I's in Tatworth, Chard, Dowlish Wake,Ilminster & Horton had also been invited. Several people tried decoupages, there was considerable interest in the creation of greetings cards with hot wax and glitter, and the miniature doll's house making created a lot of interest. It was altogether a very successful day. The School May Fair is usually held on the Saturday before the Spring Bank Holiday Monday. This year, because Easter is not until 23rd April and the school will be on holiday, an Easter Sale was held in the Jubilee hall instead. The atmosphere was not the same - there was not room for all the fun and games which usually take place on the school field. However, £448 was raised to help with school finances. "The recommendation for the Saturday afternoon is to `take the weight off the feet' - I once spent most of the time walking round the Museum of London, which was not a good idea. There is a large London Marathon Exhibition to visit, which may be mandatory, as runners have to register there by the Saturday afternoon, but as Crewkerne register in advance, most of us avoid it. A trip on the river is less tiring, perhaps to see the Dome, but the weather, although improving, was not exactly ideal. Most of our party stay at Blackheath, close to the Marathon starting areas, so we settled for a quiet stroll to the Greenwich Observatory. Plenty of food and drink (non-alcoholic of course) kept us going until the obligatory pasta at suppertime. It's amazing how much some people can eat! Sunday, thankfully, was very different from the previous day, starting dry, sunny and quite warm. With a bedroom window looking out onto Blackheath I had an excellent view of the final preparations - barriers being put in place, baggage lorries arriving which would take kitbags to the finish, TV crews setting up, and of course an increasing ant-like convoy of runners heading for the assembly areas. There are two main starts, plus the `Elite' and `Good for Age'. Crewkerne had two runners in the latter, including myself - it gets easier to qualify as you get older. All of the 35,000 or so runners converge after about three miles, so it can get very congested and quite difficult to run - a good excuse if you finish with a poor time. There seemed to be more runners than ever this year, but I was quite pleased with a time of 3hrs.50min., my best for eight years, which does not say much for the years in between! The crowds and support were incredible and I shall never forget the noise and the atmosphere crossing Tower Bridge. Steven Kivett, running his first marathon, made exactly the same comment". After the finish you are carried along in a river of space blankets, to collect medal, goody bag, T-shirt and, eventually, kit bag from the appropriate lorry. Then it is off for the reunion at a pre-arranged spot in St. James's Park and in due course the train back to the hotel. A soak in the bath works wonders and soon everyone is fit for the journey home. Runners in the London Marathon have raised millions of pounds for charities over the years. My contribution this year, with the help of many Winsham friends, was £500 for St. Margaret's Somerset Hospice, which also had an `official' team of five, raising over £5000 between us. The Junior Church Coffee Morning was held in the Jubilee Hall and was the scene for another Wednesday morning. This one was organised by Gillian Grabham and all the usual stalls were there - cakes, bric-a-brac etc. Together with a raffle and donations £130 was raised for Junior Church funds. The Village Spring Walk was the second of the four walks organised this year by the Winsham 2000 Committee. A long and a short walk were planned. At least 40 people set off at 10.45 a.m. Both walks followed the same route via Bere Farm to Sheldrick Bridge. The long walk then proceeded in the direction of Thorncombe before rejoining the shorter walk at Thorncombe T-junction. Return was via Forde Abbey and Ammerham. Most walkers stayed at The Bell Inn for lunch. Davies Close Quiz - Another brainteaser. This time there were missing words to find. £31.50 was raised. Winsham Stores ran a competition to guess the name of a toy rabbit. This raised £40 for St Margaret's Hospice. The Youth Club Jumble Sale was held at the Jubilee Hall. Cast-off clothing, second hand toys and books, homemade cakes and practically anything that would sell, made up a good jumble sale. It is always surprising to see what is collected and it's usually a job to know what to do with what is left over. This time £80 was raised. The best of the leftover clothes where washed and packed up for St Helena. The Horticultural Society held its annual plant sale and coffee evening. This is an opportunity for villagers to buy annual bedding plants thanks to the presence of Mr & Mrs Redman who have a nursery at Forton. Society members add to the range of plants available by bringing along their surplus vegetable, perennial, wild flower and pot plants. There was also a raffle and the final profit from this year's event was £137.16 - larger than usual due to the selling off of "Barn" goods - pots, composts etc., which the Society has now ceased to deal in. The Lifeboat sale is run in the Jubilee Hall by the Royal National Lifeboat Institute (Chard Branch). The members bring with them all that they wish to sell. This includes new products from the R.N.L.I. as well as items, which have been collected or donated locally. This sale is always very well supported. We all appreciate the invaluable work done by the R.N.L.I. and the fact that their work is funded only by voluntary efforts. This year the total required nationally is £88 million (£240,000 per day). Today's sale raised £197. The Winsham Annual Art Exhibition was held at the Jubilee Hall. The Preview party t hat took place on the evening of May 12th was very well attended, with nearly one hundred art lovers coming to admire the local talent and to sample the food and wine provided by club members. A raffle was also held. This occasion provides not only an opportunity for the artists to display their work, but also an enjoyable social occasion. The Winsham Art Club has grown considerably in numbers during the last year, due to the evening classes, started by club members for those younger aspiring artists in the village who were unable for various reasons to attend day classes. The standard of exhibits was high this year, and due to the increase in membership there was a great variety of work on display, including for the first time - examples of the work done by the children at their evening classes. To mark the Millennium year three local artists contributed ten portraits of notable historical figures, one from each century. The school and the playgroup produced excellent displays, and added an extra dimension to the Exhibition. A local Artist from Broadwindsor, Mr David Braxton selected six exhibits for special commendations - they were as follows: Iris Bamford, Penny Pargiter, Gwengar Smart, Liz Tadema, Les Toulmin and Bert Wood. The vote for the most popular picture in the show went to Les Toulmin. The Exhibition itself took place on the following two days, achieving record attendance and good sales. Refreshments were served during this period. There was also a raffle.The money raised during the Art Club Exhibition weekend helps to defray the expenses of holding the Exhibition and running the club. The Treasurer was very pleased with the success of the weekend and the money raised covered the cost of the venue with a small profit that went into Club funds. Twenty me mbers of the Youth Club, with ten adults, joined in the National Litter Pick. Protective plastic tabards were provided by the organisers and it is good to think of parties of young people picking up the litter in the streets. The Winsham Street Fair was held on two days instead of one as a special celebration to mark the 2000 Millennium Year. It was blessed with wonderful weather and despite competition from other Millennium Celebrations was probably on of the most successful yet. Holyrood School Swing Band, Emazdad the magician, rock & roll dancers, line dancers and the Bournemouth Carnival Band, better known as the Spidermen, entertained us. We had a fancy dress parade, a military vehicle procession, spinning wheels, laser domes, super slides, raffles, hot dogs, burgers, fish and chips, bouncy castle, ball pool, lunches, teas and so much more. The evening brought dancing in the street to the Chris Rainbow Band from 'eight 'till late', and the following day, after the initial tidying up we adjourned to the Recreation Ground for a village party and were entertained by an "It's a Knockout" competition. Eight teams battled with huge inflatable balls, Three-man ski's, hamster wheels and water competitions, and barn dancing to the Ivor Hyde Band rounded off the whole weekend. The barn dancing highlighted the family spirit in the village when three generations of a least one family were represented. It was a wonderful weekend that brought the village together and entertained everyone, from every generation. The Street Fair Committee appreciates the support given by all the other village organisations that helped to made the weekend a total success. "Farming through the Ages" was the theme of the Flower Festival organised by the Fund Raising Committee of St Stephens, which was held at St Stephens Church. The church was beautifully decorated with displays from the Short Mat Bowls Club, Winsham Horticultural Society, Pre-School and Toddlers, Winsham School, W.I., Farm 2000, St Stephens P.C.C., Wessex Foundation, Winsham Youth Club, Winsham parish council, Winsham Mother's Union, Winsham Art Club, Winsham Bell Ringers, YSL Seeds and the Fund Raising Committee. St Stephen's Gift Day was also held on the same day as the Flower Festival, and no doubt each event benefited the other. By far the majority of gifts were handed in at the Lych Gate and then most folk continued on into the church to admire the decorations and exhibits. 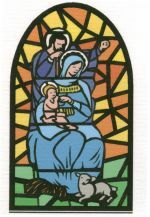 In April 200, new relaxed tax regulations were introduced by the government which meant that UK tax payers were able, by signing a simple declaration form, to make their gifts by Gift Aid thus enabling the church to benefit by an additional £285 in tax recovered from the Inland Revenue.Prior to 1st July, every household in the parish was advised that the Gift Day was taking place, given a brief explanation about Gift Aid and provided with a declaration envelope in which to place contributions. A total of £1,532 was received of which £1,352 was made under Gift Aid regulations. This means the Treasurer will recover a further £379 income tax, bringing the total to £1,911. This compares with £1,380 given at the last Gift Day in 1998 and is a wonderful expression of support for our parish Church in Millennium Year. In 2000 we need to find £10,700, or just over £29 each and every day of the year to fulfill our financial commitments - Regular offerings are, of course, the mainstay of our income and the extra revenue produced by fund raising events and the Gift Day is vital in order that we can pay our way. "Winsham Gardens Open" was organised by Jim and Joan Aslett, in aid of St. Margaret's Hospice. Opened by the Mayor of Chard and a representative of the Hospice, on a warm and sunny day, over two hundred tickets were sold to visit sixteen village gardens, which were open to the public. Refreshments were available during the day along with a raffle, and sales of plants, books and bric-a-bac. The total raised for the Hospice was £1,573.16p. Winsham's pre-school and Toddlers held a Weenybopper's Disco, organised by the committee as a social event, although they did make about £56 profit. The Disco was held in the Jubilee hall, and aimed at the pre-school age. Almost all the children who presently attend the Pre-School came to the disco with their Mums and Dads, brothers and sisters. Disco lights were hired from the Resource Center at Yeovil. A music system was borrowed from Sarah Love and Gemma Nicholls was the DJ! The children really enjoyed it. Chard Show was held at Purtington. This year the show has a great many entries in all the usual classes from leading-rein ponies and horses to horse drawn traps. The weather was good and the show was judged to be the best yet. Thanks were expressed to Mr. and Mrs. Edward Forward for the use of fields at lower Farm, Purtington. This was the third of the four walks organised by the Winsham 2000 Committee. Again a long and a short walk were planned. The long walk left at 2.30p.m.. and proceeded via Bere Farm, Shedrick Bridge, Magdalen Farm to Wayford Woods. Here the walkers were joined by the participants of the short walk who had come via Ashcombe and Hey Farm. After a picnic in less that good weather the combined party of 27 people returned by the direct route with the final stretch along Broadenham Lane. A meeting was held in the Jubilee Hall to discuss and to vote on the following motion. "That this Parish meeting of the electors of the Parish of Winsham hereby requires the South Somerset District Council to hold a Poll in the Parish of Winsham. The question to be asked in the Poll shall be ' Do you wish to keep the Pound Sterling as the currency of the United Kingdom?' "
Mr John Sullivan took the Chair and the speaker was Mr. Stanley Buton from Thorncombe. A lively discussion ensued and after various points of view were put forward - including and amendment proposed by Mr Robert Shearer and seconded by Mrs Stella Abbey "..... that the whole matter should be dropped at parish level, and left to our elected government." Obviously the majority felt that they would prefer more involvement in their own and their children's future and the motion was carried without amendment. Under the provisions of a little used section of the 1972 Local Government Act, the District council can now be required to hold a poll in the parish. The Pre-School and Toddlers Jumble Sale was held at the Jubilee Hall. This was another fund raising event to provide much needed money. £112.42 was raised. The United Reformed Church held their harvest Festival Service on the 24th September 2000. The Rev. Owen Butler from Taunton took the Service. He is a retired Clergyman who frequently visits the Church to minister, and his services are much appreciated by the Congregation.We had a good number in the congregation; visitors from other nearby villages swelled the number, which reflected in great gusto with the hymn singing of the popular Harvest hymns. On the Saturday previous to the Sunday service, several Church members gathered to bring along produce and help to decorate the Church, we had a lovely array of goodies, not to mention some firewood and coal, lots of produce was home grown in gardens, cakes lovingly baked, also pickles etc., and, of course, lots of various tinned goods. At 12.30pm on Harvest Day, after the service, we assembled in the Jubilee Hall for our Harvest Lunch, which was beautifully cooked by Jean Spurdle and Mary Hebditch, two of our members. The meal was roast beef, Yorkshire pudding, roast potatoes, cauliflower, mashed swede and carrots, and peas, followed by a choice of either apple tart or trifle, with bowls of clotted cream. Afterwards one could help themselves to a choice of cheeses and biscuits, then tea or coffee. All this meal for £3.50 per head. After the meal Roy Frecknall gave a vote of thanks to the cook and the helpers who served at table, and washed the dishes! On the following Monday evening, all the gifts of produce were auctioned at the Church by Michael Hebditch, who usually gives everyone a good laugh. It was a very wet and windy evening, so not many come, but never the less everything was sold, and as all were gifts, the money was all profit for the Church funds. So altogether it was a very successful and enjoyable Harvest Festival. There was a Coffee Morning at the Bell Inn, which raised£106 for the Macmillan Nurses Fund. These nurses visit cancer patients in their own homes and give them all the care they need - 24-hour care whenever required. A calm and peaceful autumn morning with the rooks adding their voices to the bells being rung to welcome St Stephen's Harvest Festival. The church looked and smelt wonderful with all the fruit and vegetables, and flowers beautifully arranged. The Red Cross Coffee Morning was held in the Jubilee Hall. The usual Winsham support for the Coffee Morning was there to help raise £65 for The Red Cross. The Jubilee Hall is very popular with the Chard Branch of the Royal National Lifeboat Institution. They bring all the items for sale, including some branded R.N.L.I. goods such as notebooks, tea towels, greetings cards and diaries. Within an hour and a half of opening at 10.30 a.m. they had taken £325 - a good morning's work. Approximately ten residents of Winsham together with a Winsham dog took part in the sponsored "Walk for Life" in aid of the Macmillan Cancer Charity from West Bay to Winsham, organised by Tony Fuller. The starting time was 8.30 am and the distance between 15 and 16 miles. The time taken by most Winsham participants was 6 hours, which included a short stop on Pilsden Pen. The weather was excellent for a long walk. Very muddy conditions were encountered in Marshwood Vale owing to the recent very wet weather. Winsham Youth Club held their annual charity Halloween Disco at the Bell Inn. Youth Club members had worked hard for the previous few weeks making Halloween decoration, which ensured that the scene was well set for the occasion. Kathy and Julian Dorse kindly organised the disco and local businesses generously donated prizes for the raffle, fancy dress and pumpkin competitions. The highlight of the evening was the fancy dress competition, which was split into two age groups. The judges, Steve Weller and Mary Quaint (from Cancer Research), had a hard time coming to a decision as there were so many entries of such a high standard. They eventually chose Charlie Pryde and Lee Miles as the winners. The evening was a great success, enjoyed by all and raised £104.00 for The Cancer Research Campaign, in memory of Stephanie Flanagan. The Bonfire Party 2000 was held amid fears that the event may have had to be cancelled following recent bad weather. These fears were unfounded, however, as the day dawned bright and clear. The children thoroughly enjoyed helping to build the bonfire (or biggest ever, helped particularly by a lorry load of wood from Slades) and making the Guy. The bonfire party held jointly between Winsham Junior Church & 6+ Groups was well attended, everyone bringing a few fireworks per family, which made a wonderful display lasting for approximately three quarters on an hour and the bonfire burned well into the night. The hot dogs were all devoured and a profit of £76 was split between the two groups. This year November 12th was the Sunday nearest to the 11th day of the month when the original armistice was signed in 1918. During the previous fortnight poppies had been offered for sale at every house in Winsham and Cricket St Thomas. Remembrance crosses and poppy car stickers were also available. Posters, reminding everyone of the need to give generously, were put up throughout the area. The service of Remembrance was held in St Stephen's Church at 3 p.m. on Sunday 12th with the Winsham Band providing the music to accompany the hymn singing. For the final part of the service everyone moved to the War memorial with the processional cross, the choir and the Rev. Ernie Chivers leading the way, followed by The British Legion (Women's Section) and the Red Cross were laid. The Last Post and Reveille were played on the bugle and a two minutes silence was observed. The next day all the collecting boxes were opened and donations counted. The money, together with the collection at the church service, was sent by Giro account from the Post Office. £728 was raised to support the work of the British Legion with those suffering as a result of injury whilst serving their country. A Race night was organised by the Street Fair Committee. Fifty or more people gathered in the Jubilee Hall for an evening of horse racing. It was projected onto a screen - eight races each with eight horses. Each horse was numbered and to part, people buy tickets at 50p a time for the one they fancy to win. Any number of tickets can be sold - then half the takings are distributed to the winning ticket holder. The other half goes to the funds of the evening's organisers. Local firms who pay £25 and give the race a name, sponsor each race. An exciting evening for all and an unusual way to raise £663. for Street Fair funds. The Pre-School children and the toddlers held a 'Sponsored Trike Ride' and were sponsored by friends and family to ride their trikes around the Jubilee Hall. This raised £201.02, which was put towards the running costs of the playgroup. The United Reform Church held its Annual Christmas Bazaar in the Jubilee Hall. Members assembled early to get the trestle tables erected in their positions and covered in cloths to await the various items for sale. The morning weather was reasonable (for a change) as weather plays a big part in the turnout for these events. There was no shortage of items for sale. One stall had cakes, made by members, and tinned food, a very popular stall which people usually make a beeline for upon entering. Another was filled with bric-a-brac, another with plants, and yet another with 'items' hand made, very suitable for Christmas gifts. There was no entry fee, but a charge was made for coffee & biscuits of 25p. There was a very popular raffle with tickets sold for 50p a strip and all the prizes were donated. The bazaar was followed by a soup 'n' cheese lunch, consisting of a choice of soups, and a table laid with biscuits, cheese and an assortment of pickles whereby one could help themselves, this was followed by a warm mince pie and a cup of tea or coffee. All this for the princely sum of £1.50 per person. After this was finished, members did all the dismantling, packing away unsold goods, and the washing up, but it was all done in good spirits and joviality. The outcome of this successful morning was £387, which is for the Church Funds. The Christmas Bingo is the biggest fund raising event in the calendar of the Winsham Pre-School and Toddles. After weeks of organising, the doors of the Jubilee Hall opened at 7.30pm and it was 'eyes down' at 8pm for ten games of bingo and a children's game. Prizes were donated by businesses from the Chard and Crewkerne area and the staff and parents gave hampers, which formed the prizes for a Full House. There was also a raffle with over 30 prizes. About eighty people attended and the total profit made was £328.82. Winsham Junior Church had their Saturday Christmas Activity Day. Open to all children aged between 3-13, they spent the day making Christmas cards, jointed Father Christmas's, calendars, glass painting, pin cushions, fridge magnets, cooking biscuits and truffles, marbling, making festive tube characters, hangers, lanterns and much more. In the lunch break they played games. The children took home all the items they had made throughout the day. In the evening, the Street Fair Committee held a Skittles Match at The Bell Inn. A good time was had by all and £60 was raised to go towards the funding of the Street Fair in 2002. A talk was planned to take place in the Jubilee Hall given by Dr Louise Crossley. The title of the talk was "Antarctica & Macquarie Island". The proceeds were to have been in aid of St. Margaret's Hospice. However, the talk had to be cancelled at short notice, and the following letter from Dr Crossley explains the circumstances: -"............ spent the year from November 1999 to November 2000 as Station Leader at the Australian Research Base on sub Antarctic Macquarie Island, halfway between Australia and the Antarctic Continent. On the 7th November the supply ship Polabird, arrived at Macquarie Island and spent a week transferring next year's supply of food, fuel and people etc.. We left on the 14th of November, and although it is only three days sail back to Australia, we headed south to visit Casey Station, another Australian base on the Antarctic Continent. While we were ferrying passengers and cargo to Casey Station by helicopter the ice closed in around the ship, and although it was in no danger it could not move. And there we stayed, for three weeks, until the ice melted and opened enough for our puny five thousand h.p.engine to push the ship out. ( Real Icebreakers have at least 25 thousand h.p. engines!). As a result we arrived back in Hobart on the 27th of December instead of the 6th of December as originally planned. So I missed my date at the Jubilee Hall and also Christmas with my mother (Mrs Barbara Shrubshall), though I did make it back for New Year. Incidentally when I arrived at Heathrow, the temperature was -5 degrees C, just about the same as in the ice in Antarctica a few days before!" The last Friday of the Autumn Term saw the traditional hive of activity in the school as parents prepared for the Christmas Teashop - so called because the first one was an actual Teashop when the children cooked and sold cakes and cups of tea to raise money. This year saw all the usual fund-raising stalls - raffle, lucky dip, tombola and bric-a-bac. Several different games kept the children busy whilst parents enjoyed a cup of tea and a mince pie in the relative peace of the infant room. A total of just over £200 was raised for PFA funds. This will go towards their major project for this year of refurbishing the old swimming pool building and turning it into a playground shelter, which can be used all year round - rain or shine! Carol singing around the village by the school governors of Winsham School, members of the P.F.A., staff, parents and pupils, was initially planned for the evening of 13th December, but has to be postponed until the 18th due to severe wet and windy weather. Approximately fifty adults and children went caroling around the village. A collection was held which took £56 and was divided between school funds and the charity Shelter. Afterwards, mulled wine and mince pies were served in the school, sponsored by Tesco. The Winsham Football Club held a charity match in aid of Lupus and Cancer. Quarter of an hour later we started again. The women were much stronger in the second half thanks to the Vicar and a few men and they scored a couple more goals, but after a bit more cheating and some strong tackles made on Gemma Nicholls (their strongest player), the men won 5-4. At the end of the day it didn't matter who won or lost they all had a great time. Sherrie Powell, Giles Morris, Julian Shears, Steve Smith, Michelle Marsh, Wayne Luckett & Martin Alien. The Crib Service was again organised by Winsham Mothers' Union in St Stephen's Church. It was a short simple service during which children placed dolls dressed as Mary and Joseph etc., from the nativity story, around the crib. This year approximately t hirty children and forty adults attended the Service led by the new Vicar, the Rev. Ernie Chivers. After the Service, coffee and mince pies were served, and all the children were given a chocolate Father Christmas. There was an offertory plate left by the door, which collected £35 in aid of the work of the Mothers' Union. This money will help to purchase a Mothers Union tabard, which are worn by the members who help to run a crèche for visitors to Shepton Mallet Prison. At St Stephen's the Junior Church members were due to act out the nativity story during the afternoon Christingle service. However, a lot of the children were ill. They had their youngest ever Joseph as two year old Jordan Fowler stood in with just one rehearsal in the morning. Thanks went to Sara Douglas, Jess Hamill and Mary Ellswood who stood in as kings and shepherds at the last minute without any rehearsals. Sara and Jess, as 6+ members also led the prayers. All members of the congregation went home with their own Christingle candle. The year 2000 ended with as much excitement as it had begun. The ground was saturated. The autumn had been the highest since records began. Heavy rain had started in the early afternoon and at times Church Street resembled a river. By late afternoon on the 31st, the river Axe had flooded and travelers visiting the village had either to cancel their journey or travel via Beaminster and Crewekeme, a route that was soon to become very hazardous. Villagers intent on partying beyond the river Axe at first used four-wheel drives and then tractors. By early evening it was obvious that it was becoming too dangerous for even these most intrepid of adventurers and some party plans had to be abandoned. At around nine pm it was discovered that two men were in serious trouble in the Axe's floodwaters. One, a cyclist was only saved by being able to hang on to a small tree. The other, a motorist, was also stranded in the waters, but was able to climb on to the roof of his car and summon help with the aid of his mobile phone.The fire brigade attended with a rescue tender, but the force of the water prevented them from reaching the men. Further attempts at a rescue were abandoned in favour of an Air Sea Rescue helicopter.The revellers celebrating the New Year in the village were unaware of all this until they saw a succession of blue flashing lights heading down towards the Axe. This was followed by a loud noise of an engine and a brilliant light moving over the village. Some thought it was a UFO. Many villagers then followed the noise and lights to find out what was going on. In a strong wind, and with lights that filled the valley, the helicopter hovered perilously close to power lines, allowing the winch crew to rescue first the man from the top of his car and then the cyclist from the tree. During the second rescue both the winch man and his target were swept several metres downstream by the current. After the rescue the helicopter landed in a nearby field and the two men were taken to hospital by a waiting ambulance. Soaking wet they were treated for Hypothermia and discharged the next day. On New Year's Day the extent of the devastation was evident. Tarmac, tree boughs, stones and boulders were strewn for up to a hundred metres across adjacent fields, clearly showing the route and force of the water. Bushes and trees were forced over on to the road. Older villagers said that they had never seen the river so deep or having caused so much damage. Thus ended the Year 2000.